intertwined in this lugubrious tale of nihilistic rage. 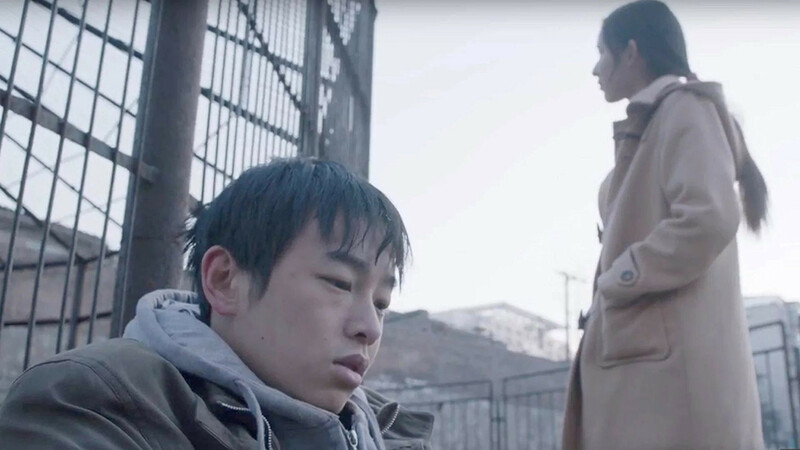 To protect his friend, 16-year-old Wei Bu pushes the school bully down the staircase and escapes the scene after the bully becomes hospitalized with his life hanging by a thread. Wei’s neighbor, the 60-year-old Wang Jin, is estranged from his family and decides to join him. Huang Ling, Wei’s classmate, is bedeviled by an affair with the school official. Together, the desperate three decide to flee as the wounded bully’s hooligan brother, the school authorities and the parents all go on a cold-blooded hunt for Wei across town. As Wei treads through the wilderness, he finally confronts his own reality. In the end, he boards a long-distance bus with Huang and Wang toward Manchuria, where a circus elephant is said to be sitting still. Zhang Yu, Peng Yuchang, Wang Yuwen, Liu Congxi. Hu Bo graduated from Beijing Film Academy in 2014 with a B.F.A. degree in directing. His short film Distant Father (2014) won Best Director at Golden Koala Chinese Film Festival, and Night Runner (2014) was selected by Taipei Golden Horse FF. His debut feature An Elephant Sitting Still, which was then still in progress, was selected by the FIRST IFF Financing Forum in 2016. In the following year, Hu Bo participated in FIRST Training Camp under the supervision of Béla Tarr, where he completed the short film Man in the Well. He has also written two novels Huge Crack and Bullfrog, both published in 2017. Hu Bo took his own life soon after finishing An Elephant Sitting Still. Distant Father (2014, short), Night Runner (2014 short), Man in the Well (2017, short), An Elephant Sitting Still (2018).